The Contest for grade 2 consists of 25 questions, for grades 3 and 4, 35 questions and grades 5 and 6, 40 questions. These questions are based on topics in American Studies, Geography of the United States, and United States government appropriate to each grade level. The Contest for grades 7,8,and 9, consisting of 50 questions, deals with these same topic areas with the content of the questions appropriate to those grade levels. There are two contests for Senior High School students- one in American History and the other in World History with the emphasis on Europe. Each of these Contests consists of 50 questions. Each Contest (for all grade levels mentioned above) consists of multiple choice questions. Each Contest has a time limit of 35 minutes and may be comfortably administered within one class period. 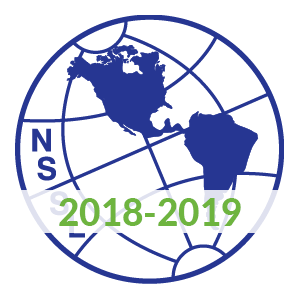 Click on the large NSSL logo above the grade level you want.